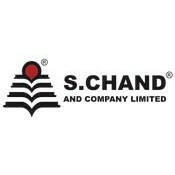 Check out S Chand IPO Allotment Status online. You can check S Chand and Company IPO Allotment via Application Number or Pan Card. As the grey market is fluctuating we can expect a mix listing. The listing will be keep investors their fingers crossed. Checkout S Chand ipo allotment dates and latest grey market premium as well. Note: S Chand IPO Allotment Status will be available when ever Registrar of IPO will put on their official sites.